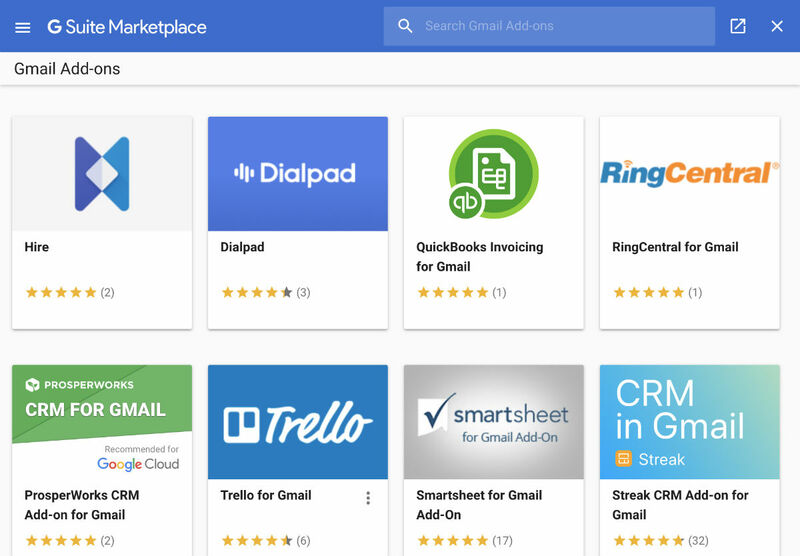 Launched today, add-ons for Gmail allow third-party developers to integrate their services directly into the Google-powered email service. There’s already a handful of add-ons available, so far catered to enterprise users, including some from Trello, RingCentral, Dialpad, and Asana. More add-ons are on the way, some of which should benefit any type of user, not just enterprise. For example, let’s say your place of work uses Trello. When enabled and you’re inside of an email, you can place that email directly on a Trello board without having to go to a different webpage to access Trello. It’s the same case for all the other services, helping users save time when sharing items between services. At least for Trello, the add-ons are integrated into the Android app, too. That means you’ll find the same options to send items whether you’re in the Gmail Android app or on a desktop. As a Trello and G Suite user, this is beyond clutch. To access, you should see a new “Get add-ons” option in the settings drop down menu inside of Gmail. I had to refresh my Gmail tab to access it. From here, install whichever add-on you want to use and sign into the service. From there, you’re all set.